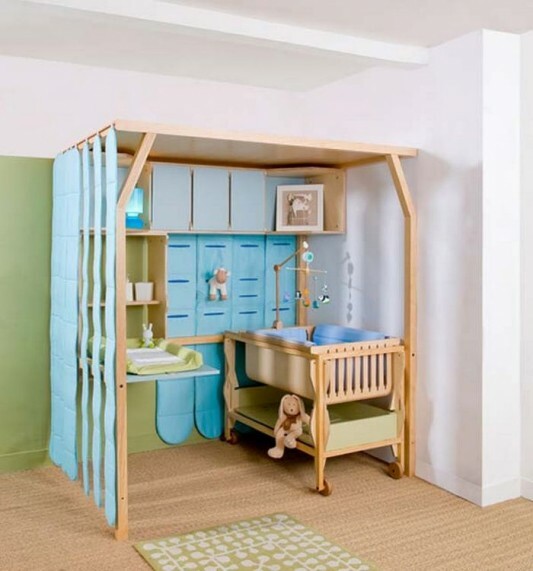 Home > DIY Design Inspiration > Kid Spaces > Baby Crib’s with STYLE! 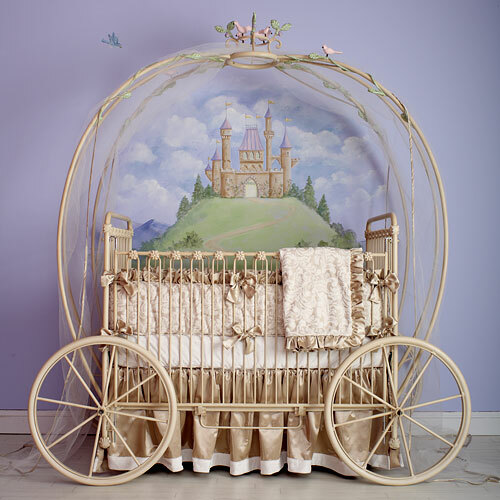 Talk about a princess baby…the one that lands this one will have arrived in STYLE! 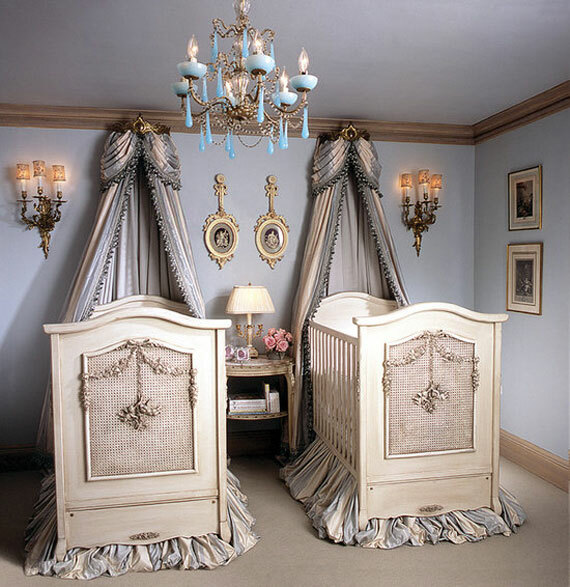 Princess Coach Iron Crib by Posh Tots, could be your’s, baby girl… for the low price of $4,250.00. 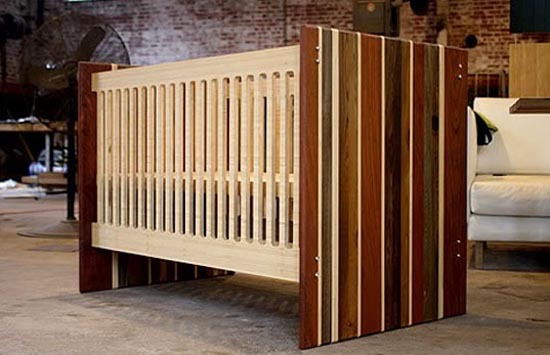 This awesome GREEN designed crib is for the environmentally concious tot. One of my favorite furniture companies is Structured Green, whose mission is to create beautiful furniture pieces by using high quality sustainable materials, certified or reclaimed, recycled or recyclable. The “Oops Crib” as they have named it, was made of variegated strips of reclamed woods. Oh…for the LOVE of DESIGN, I call this one. 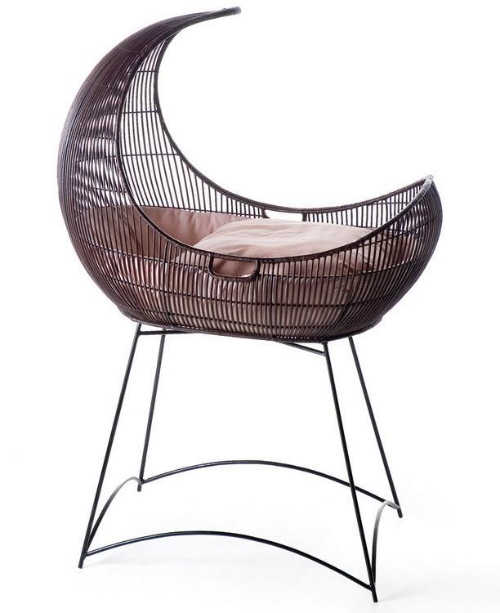 I see a future DESIGNER baby in this unique baby rocker by my FAVORITE furniture designer, Kenneth Cobonpue. To all the DESIGNISTAS out there, you must check out his website and see his creative portfolio, it’s faaaabulous! The egg design by Baby Suommo is for the baby who never wanted out of the womb. I dated a few of those grown up baby boy’s before, LOL! 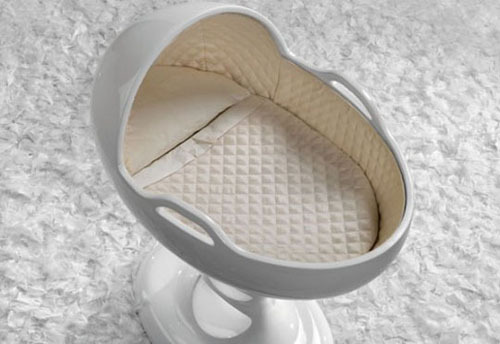 This egg design provides a safe warm and soft nest, facilitating the transition from the mother’s womb perfectly. For the mother of two, this ensemble by Posh Tots is the perfect duo! I could not find the make and model of this design but, I have affectionately named it, baby dorm room. Now, this is for the practicle parent who is preparing their baby for college dorm room living. What this teaches the young tot is how to use a space efficiently. In small bowl, combine cracker crumbs, sugar and butter. Press onto the bottom of a 9-in. springform pan coated with cooking spray. Place pan on a baking sheet. Bake at 350 degree for 10 minutes. Cool on a wire rack. In a microwave-safe bowl, heat peanut butter on high for 30 seconds or until softened. Spread over crust to within 1 in. of edges. In a large bowl, beat cream cheese, sour cream and sugar until smooth. Add eggs; beat on low speed just until combined. Stir in vanilla. Pour 1 cup into a bowl: set aside. 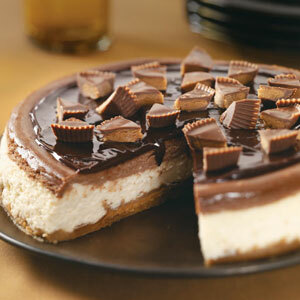 Pour remaining filling over peanut butter layer. In a microwave-safe bowl, heat 1/4 cup fudge topping on high for 30 seconds or until thin; fold into reserved cream cheese mixture. Carefully pour over filling: cut through with knife to swirl. Return pan to baking sheet. Bake for 50-60 minutes or until center is almost set. Cool on a wire rack for 10 minutes. Carefully run a knife around edge of pan to loosen: cool 1 hour longer.